Public Service Commission of West Bengal has recently issued notification for filling up 182 vacancies in WBFS & WBSFS. PSCWB has released notification to conduct written examination for filling up West Bengal Forest Department Recruitment. Candidates who are interested and eligible also can fill online form either here or official site. The online registration of WB Forest Department Vacancy is available from 11th June 2018. You can register own application form till last date 02nd July 2018. The tentative date of WBFS & WBSFS examination is 05th August 2018. For more details read below section carefully. West Bengal Public Service Commission is going to organize WBFS & WBSFS examination. Applicants who qualify the eligibility criteria can fill WBSFS Online Form from here as well as the official site. This is a great opportunity for candidates who want to apply for WBPSC WBSFS Jobs. Interested and deserving candidates may apply before the last date. The department will be going to conduct WBSFS Examination for WB Forest Department Recruitment on 05th August 2018. Furthermore, information like eligibility criteria, application fees, selection procedure and how to apply are mention below. Fresh update as on 02.07.2018: Participants must be registered online for West Bengal Public Service Commission Exam. Today is the last date for online registration for WBFS examination 2018. Candidates must apply for WBPSC Exam which is held on 05.08.2018. Here we gave you links to apply for WBPSC Examination 2018. What is the Eligibility Criteria For WB Forest Department Recruitment 2017/ Required Qualification for WB Forest Guard Recruitment 2017 ? Interested candidates before going to fill WBSFS Online Form must fulfill eligibility criteria. If they are find not eligible for the post they will terminated automatically. It includes details of education qualification, age limit and others. Read below information to check your eligibility conditions. Applicants who wants to fill up WBSFS Online Form must have Bachelor Degree in Science and Engineering. The degree must be from recognized university. Applicants Should have one of the following subject for West Bengal Forest Department Recruitment. The age criteria is made as on 01.01.2018. Upper age relaxation is applicable for SC & ST 05 years and 03 years of BC (Non creamy layer) candidates. Age criteria more information for West Bengal Forest Department Jobs is mention below. For WBFS Exam : Applicants should not be below 21 years and not be more than 36 years. For WBSFS Exam 2018 : Candidates minimum age should be 21 years and maximum age is require 39 years. Applicants who are going to fill West Bengal Forest Department Vacancy online form must pay an application fee. Rs. 210/- with Service charges (1%) pay towards application fees. Participants who are belonging to West Bengal SC/ST category need not to pay any application fees. WBSFS 2018 Exam application fees will be paid through online mode or offline mode. Applicants selection will be done as per two successive parts. First Preliminary examination will be conducted by the department to select candidates for main examination. After that main examination and personality test conducted to select candidates for West Bengal Forest Department Recruitment. For more details check official advertisement. Applicants who are interested and eligible also for WB Forest Department Vacancy can fill online form. The online application form is available here or official site also. So applicants if you are going to fill WBSFS Application Form, you must have valid email id and password. How to fill online form of West Bengal Forest Department Jobs? The procedure is mention below. First of all, go to West Bengal PSC official site pscwbapplication.in. Download WBFS WBSFS Notification 2018. Fill up application form with required information. Upload signature and photograph on your West Bengal Forest Department Recruitment. Make payment of application fees through online or official mode. Take print out of WB Forest Department Jobs for future uses. Applicants can direct apply online through mention below link. Conclusion : Public Service Commission of West Bengal has recently announced 182 Vacancy of WBFS & WBSFS. Candidates who want to apply for WBSFS Exam can fill online form till last date i.e. 02.07.2018. The preliminary examination will be going to held on 05.08.2018. West Bengal Forest Department Recruitment details are mention above. Applicants who are searching WB Forest Guard Jobs, Here is good news for you. West Bengal Police Recruitment Board has released recruitment notification of 259 Forest Guard vacancy under Directorate of Forests. all the candidates who are interested in WB Forest Department Recruitment 2017 can fill online form here before the last date. You can fill online application for West Bengal Forest Department recruitment on or before the last date 19.05.2017. West Bengal Police Recruitment Board (WBPRB) is inviting online application for 259 Forest Guard Vacancy. Those candidates who are waiting for Jobs in West Bengal State have a chance to fill online form for WB Forest Guard Vacancy 2017. Online registration for West Bengal Forest Department Recruitment has been started from 21.04.2017. 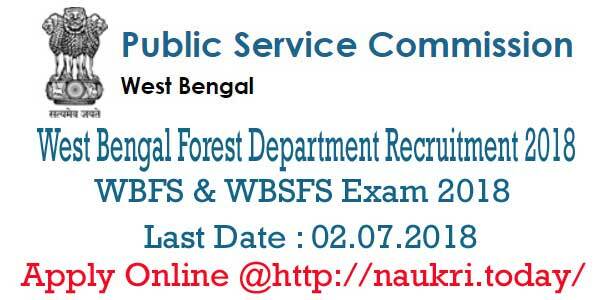 For more details about WB Forest department Vacancy like Eligibility Criteria , age limit, etc. you can check given below details. West Bengal Forest Dept recruitment 2017 Age Limit : Minimum age of the candidates for WB Forest department recruitment 2017 should be 18 years & upper age must be 32 years as on 01.01.2017. Relaxation in age for West Bengal Forest department Recruitment is applicable for SC/ST/OBC/PH/ESM category candidates. 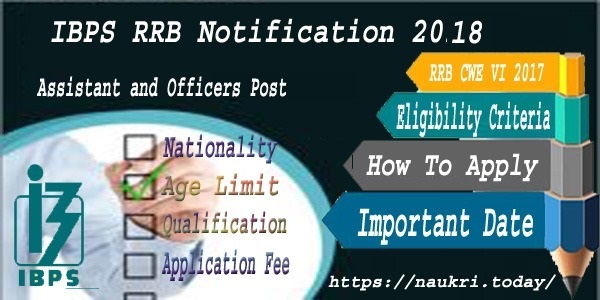 Application Fee For WBPRB Forest Guard Vacancy 2017 : Candidates belonging from SC/ST Category need to pay Rs. 20/- for filling WB Forest Guard Jobs Online form. Other category candidates must paid Rs. 22.0/- for applying online form for West Bengal Forest Department Vacancy 2017. West Bengal Forest Department vacancy 2017 Pay Scale : Selected candidates for WB Forest Department Vacancy will paid pay band Rs. 5,400/- to 25,200/- with grade pay Rs. 1,900/-. This pay scale will given at the Probation time for WB Forest Guard Recruitment 2017. WB Forest Guard Bharti 2017 Selection Method : Selection of the candidates for WB Forest Department Recruitment 2017 will based on Department Exam Scheme. 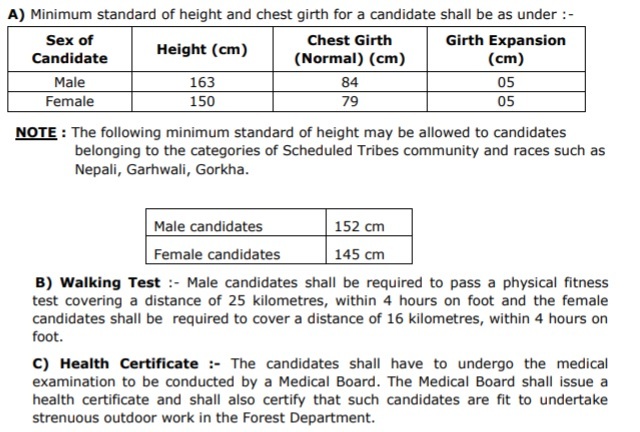 Selection criteria For West Bengal Forest Deptartment recruitment is mention below. For more details about Examination you can check given below para. First of all, Eligible candidates call for written examination. which is objective type in nature of total 90 Marks. Total 90 MCQ Type Question appear in examination. Exam will contain question of GA, GK, English, Reasoning & elementary Mathematics. Candidates should get minimum passing marks for qualifying the examination. Selected candidates after Written Exam will appear in PST & PET Examination. Exam will be qualifying in nature. Final Selection of the candidates for WB Forest department Vacancy will made after Personality Test & Medical examination. For more details about Exam Admit Card, Exam Syllabus you can check from here. Keep in touch with this page for more updates. How I Fill Online Form For WB Forest Department Recruitment 2017/ West Bengal Forest Dept Jobs 2017 ? First of all candidates log on to the official website www.wbprb.gov.in. Now click on Recruitment section & click on West Bengal Forest dept Vacancy Notification link. Now deposit application application fee. WB Forest Department Recruitment 2017 For 259 Forest Guard vacancy. Candidates can fill online form for WB Forest Department Forest Guard Jobs on or before the last date 19.05.2017.